When Salem College greets new students at move-in and orientation on August 23, faculty and staff will welcome to campus the largest and most diverse incoming class in Salem’s esteemed 243-year history of educating young women. There are 219 new students enrolled for the fall semester, including 203 first years. They represent the entire east coast, as well as California, Arizona, Illinois, Louisiana, Oregon, Wisconsin, and Texas. Two new international students, from Nepal and Ukraine, join these students from across the United States. Salem’s incoming class is rich with diversity, with 45% of students self-identifying as students of color – including 21% African American, 16% Hispanic, and 4% multi-ethnic. Salem College is also proudly welcoming many first generation students, with 45% self-identifying as the first in their family to attend college. Three quarters of these students elected to participate in the Salem Firsts Pre-Orientation, designed to help first generation students and their families adapt to college life and navigate the many academic and extra-curricular activities that Salem offers. Salem's new president, Dr. Lorraine Sterritt, greeted these students and their families, sharing from her own experience as a first generation college student. 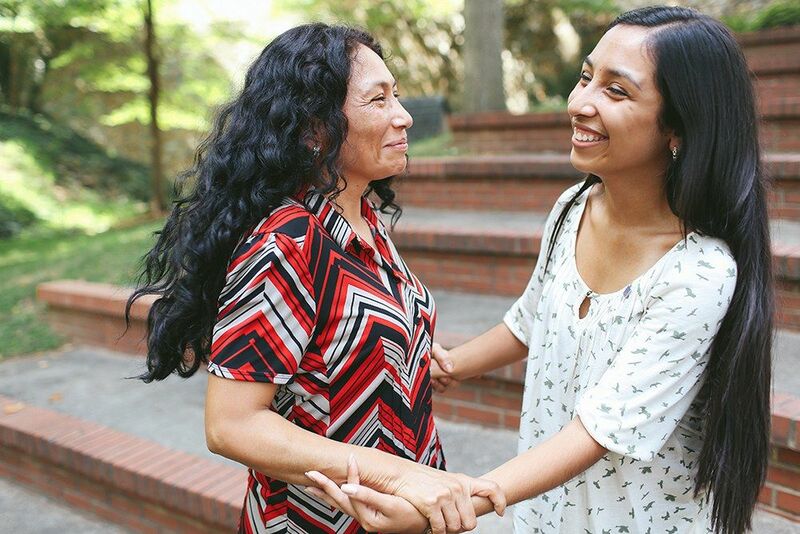 "You and I have something in common: we are the first in our family to go to college," she told them. "Growing up in a small town in Ireland, it was not easy for my parents to follow their own early education with a college degree; however, learning and excelling in all situations were very important to them. Armed with these important qualities, I was ready to embrace the college journey when the opportunity was presented. Whatever you are feeling, you can be assured that as part of the Salem College family, others—including centuries of women who have walked our halls over the past 243 years—have felt similar emotions. You are not alone." At a Salem Firsts Pinning Ceremony in the May Dell, these first generation students celebrated their decision to attend college with their families and members of the Salem community. Escorted by members of the student orientation leadership team across the same stage they will walk at commencement, the new students received commemorative pins from Dean of Students Dr. Krispin Barr, Director of Student Professional Development Monica Boyd, Director of Student Activities Emily Long, and Associate Dean for Undergraduate Education Dr. Richard Vinson. As the remainder of the student body returns to campus throughout the weekend, Salem Firsts will explore Old Salem and the Winston-Salem community and all members of the Class of 2018 will enjoy a retreat at YMCA Camp Hanes. Orientation week activities will close on Tuesday, August 26, with Opening Convocation, a time to celebrate a new academic year. Classes begin on Wednesday, August 27.